tdPhotographer is a Photoblog-Style WordPress Theme for sharing your images, articles, videos, music, quotes and much more! You can use this theme for your personal blog or for a minimal portfolio to showcase your best works. 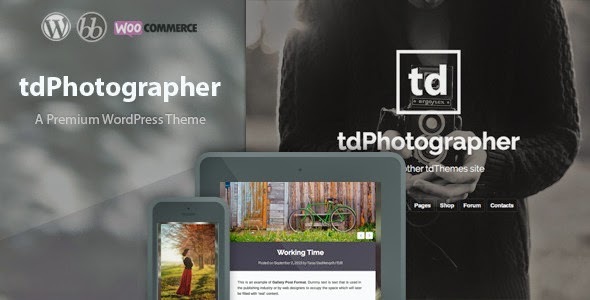 Also, tdPhotographer theme is compatible with bbPress and WooCommerce plugins. This Theme is a fully responsive and will adjust to almost any screen sizes.